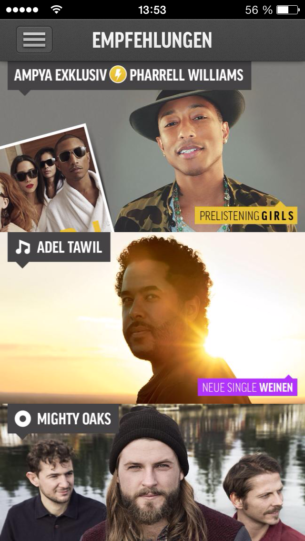 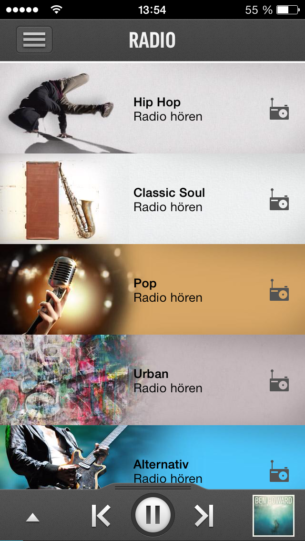 Ampya is a an online streaming service akin to Spotify lauched by the german broadcasting giant ProSiebenSat 1. 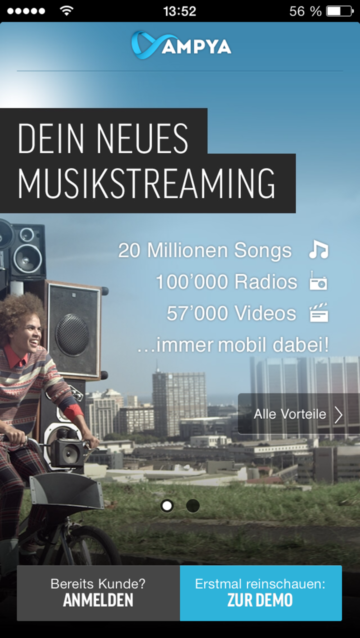 Streamed music with over 20 million songs and over 57,000 music videos. 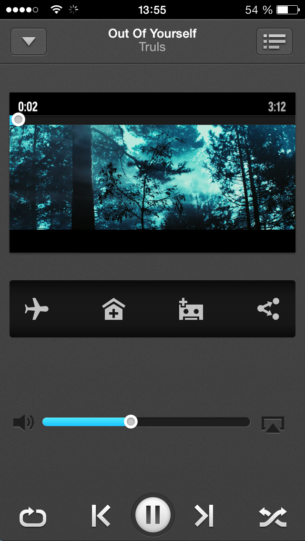 Dolby pulse for outstanding sound quality. 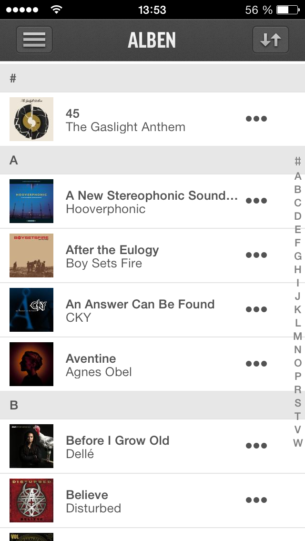 Personalized music recommendation based on your already played list and your friends influence. 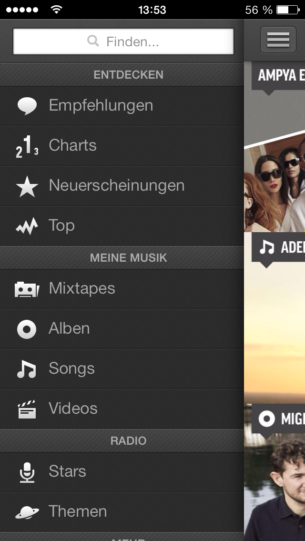 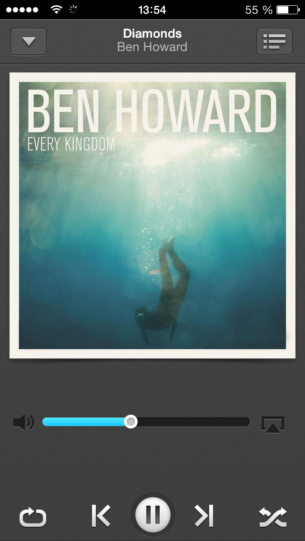 Music discovery using directories of charts, tops, new releases, radio, themes. 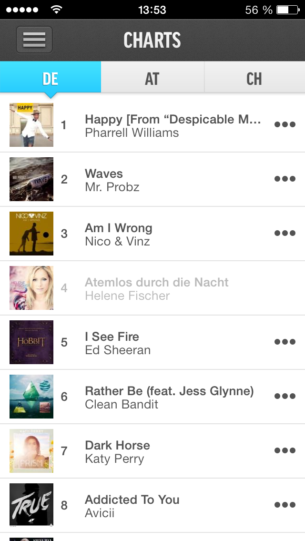 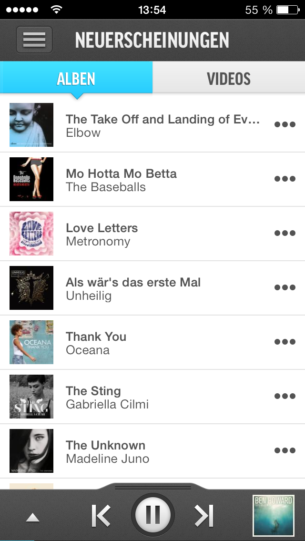 Top 100 charts from Germany, Austria, Switzerland. 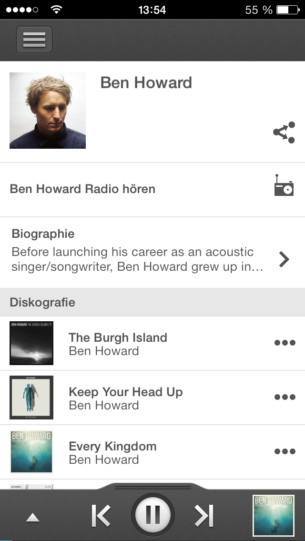 Extensive library of artists profiles, bio and lyrics. 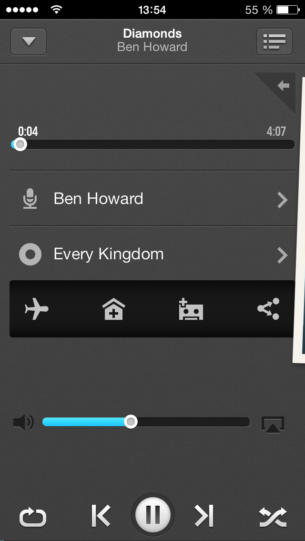 Download the songs in offline mode and enjoy the music also in your vacation.